Imagine a frozen lake which, upon melting each year, reveals the unnerving sight of the remains of more than 300 people. 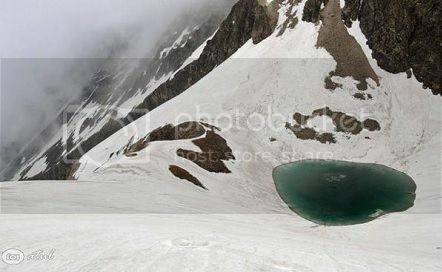 A small lake known as Roopkund Lake sits high in the Indian Himalayas, more than 16,000 feet (4,900 meters) above sea level. Covered in ice and surrounded by rocky glaciers, the lake appears to be a typical, albeit beautiful, natural wonder. However, during one month of the year, when the ice melts away and the bottom of the shallow lake becomes visible, the true nature of the lake reveals itself. At the bottom of the lake are hundreds of mysterious human skeletons. There have been efforts to determine who these people were, where they were from, and how they died, buy many questions still remain unanswered about the skeletons at Roopkund – now referred to as Skeleton Lake.